The following chapter has been contributed by the author, Norman Porter, with the permission of the publishers, Blackstaff Press Ltd. The views expressed in this chapter do not necessarily reflect the views of the members of the CAIN Project. The CAIN Project would welcome other material which meets our guidelines for contributions. This publication is copyright Blackstaff Press Ltd. 1996 and is included on the CAIN site by permission of Blackstaff Press Ltd. and the author. You may not edit, adapt, or redistribute changed versions of this for other than your personal use without express written permission. Redistribution for commercial purposes is not permitted. One sign of the likely durability of any political movement or school of thought is its ability to retain its identity and yet still adapt to the changing circumstances of its environment. Atavistic Tendencies have to be resisted. A problem for unionism is that its potential for adaptability - which in principle is no less than that of any comparable political movement or school - tends to be stunted by a countervailing propensity to atavism. Not only is such a propensity encouraged by the rhetorical posturing of Paisleyite fundamentalism; it is tolerated by the uncreative minimalism of the UUP which one academic commentator, Arthur Aughey, dignifies through the euphemism 'masterful inactivity'. The sobering truth of the matter is that the days in which unionism could afford either to promote or smile benignly at atavism in its ranks, though probably more fictional than real, are now incontrovertibly over. It is impossible to detect the hand of masterful genius at work in the tendency of mainstream unionism to react against trends of which it disapproves by excluding itself from the main political game. This is to run the risk of policies affecting the future of Northern Ireland and ultimately the fate of unionism being decided over its head. Aughey now thinks that inactivity is no longer the virtue it once was, given the current predicaments of unionism, and argues that unionists need to act in order to conserve. I have plenty to say about the details of Aughey's argument in Chapter 4, but at present it is sufficient to remark that even an academic as inclined as he is to justify unionist complacency recognises that the current circumstances of unionism call for new initiatives. It is these circumstances that I want to bring into sharper focus in the first part of this chapter. I attempt to do so by highlighting challenges to unionism that emerge from conditions within its own fold and, more especially, from outside. In the second part of the chapter, I give a quick sketch of important unionist responses to these challenges. I locate three such responses which I try to characterise in terms of three major differences: dissimilar rankings of the challenges, different understandings of unionist identity, and distinct conceptual articulations. The third of these differences yields separate, though occasionally overlapping, theories of unionism which become the focus of attention in subsequent chapters. The present circumstances of unionism are constituted in large measure by three sorts of challenges unionists cannot hope to avoid indefinitely: those internal to unionism, those originating beyond the borders of Northern Ireland, and those located within its borders. Whether the cumulative effect of these challenges, justifies the conclusion that unionism is in a state of crisis is al contentious point. Talk of a crisis of unionism, especially an identity crisis, is fashionable in some circles but hotly contested in others. I have no wish to enter this debate directly, but it would be disingenuous to pretend that either my analysis of the challenges or the arguments I have given notice of advancing do not have ramifications that impinge on it. At least implicitly I am saying that if unionists do not perceive themselves to be in a state of crisis they ought to, but that there is a way out of the crisis, though one that many unionists are likely to chafe at. But this is to run too far ahead. What is important at the moment is to become clear on the inescapable challenges that unionists currently face, regardless of whether we think they constitute a crisis or merely some awkward quandaries. Differences among unionists over such issues as party affiliation, tactics and proposed forms of government for Northern Ireland pose challenges to the coherence and direction of unionism. Each of these differences is worth reflecting upon in turn. One quarrel among unionists concerns conflicting party affiliations, that is, the fact that a number of political parties are competing for unionists' allegiance. On the surface, this might seem an unremarkable state of affairs of no greater import than the competition that exists in other Western democracies between parties that share a commitment to the integrity of their particular polities. And up to a point this is true: it is mistaken to read too much into the presence of diverse unionist parties just as it is misleading to infer that Protestantism is imperilled by the existence of a plethora of Protestant denominations and independent churches. But simply to suppose that unionism here reflects the Western democratic norm, or that there is a strict analogy between unionist and Protestant experiences of plurality, is too facile. In particular, it has to be recalled that the proliferation of unionist parties is a comparatively recent phenomenon which coincides with unionism's decline as the all-powerful political force in Northern Ireland. From the partition of Ireland until the introduction of direct rule by Westminster in 1972, the Unionist Party enjoyed fifty years of uninterrupted government and exercised hegemonic control over social and political life. With the exception of its last years in office, between 1969 and 1972, when weaknesses began to surface in the unionist leviathan, dissenters of a unionist persuasion proved little more than minor irritants who were confined either to the old Northern Ireland Labour Party or to the relative obscurity of some independent expression. Pitched against this backdrop, the current splintering of unionism into six parties betrays traces of a worm at the heart 'of unionism. And these traces imply a challenge to unionist ,coherence and direction. If we ask, for example, about the points of differentiation that warrant so many separate unionist parties, and about the basis of attempts to forge a semblance of unionist unity in the midst of apparently wide diversity, a confusing picture emerges. On issues that typically account for a plurality of parties within a polity - social and economic priorities, law and order, the environment - or on issues long peculiar to Northern Ireland - religious composition and appeal, commitment to constitutional politics, forms of preferred government - or on issues thrown up by post-ceasefire circumstances in the North - early releases of paramilitary prisoners, decommissioning of weapons, and inclusive all-party talks - it is almost impossible to say that any unionist party has a distinctive line on one of these, and certainly impossible to show distinctiveness on more than one. And yet despite so many shared or overlapping emphases, unionist unity remains elusive. This depiction of unionist politics raises puzzles I do not attempt to explain. Its point here is to underscore that party divisions within the house of unionism often have no compelling rationale and are indicative of a confusion which hinders the charting of a clear course for the future. A little further light may be cast on unionism's uncertainty of direction by considering both the flimsiness of recent efforts to achieve unity and disagreements over desired forms of government for Northern Ireland. The aftermath of the Anglo-Irish Agreement, signed in 1985 by the British and Irish prime ministers, witnessed a show of unionist unity which began to falter when the UUP was perceived by the Democratic Unionist Party (DUP) to place too much faith in the British government: theUUP's cautious welcome of the Downing Street Declaration signed by subsequent prime ministers of the two states in December 1993 is a case in point. Since the publication of Frameworks for the Future in February 1995, renewed efforts have been made to revive unity among unionists. If anything these efforts have been heightened by increasing requests for unionist flexibility on issues of prisoners, weapons and inclusive talks, but has been complicated by the Irish Republican Army (IRA) ending its ceasefire in February 1996. The most urgent calls for unity have been issued by the champions of unionist intransigence, Ian Paisley's DUP, followed by the ostensible liberal voice of unionist politics, Robert McCartney. These calls have been directed at the largest party in Northern Ireland, the UUP, which has responded in a decidedly lukewarm fashion. The so-called 'fringe loyalist' parties, the Ulster Democratic Party (UDP) and the Progressive Unionist Party (PUP), have not been beckoned, despite the pivotal role they played in brokering a loyalist ceasefire and continue to play in keeping it on course. The Alliance Party also has not been considered worthy of much wooing, since it is regarded as superfluous to the cause of unionist unity given that its cross-community brand of moderate politics is viewed as deeply suspect, especially within DUP circles. Interestingly, the parties least wanted by proponents of unionist unity are those that showed most inclination to respond positively to requests for flexibility on issues created by the new post-ceasefire circumstances. The call for unity is at once limited, then, in the obvious sense that it does not wholeheartedly extend to certain, admittedly minor, unionist parties. This is by no means its only, or most serious, limitation. Indeed, it is one that advocates of unity could cheerfully live with if they managed to bind together the UUP, DUP, and McCartney's United Kingdom Unionist Party, that is, those unionists with representation at Westminster who command the overwhelming support of the unionist population. But even if this situation was achieved, two other limitations would continue to expose the shallowness of the appeal for unity. One concerns its tactically negative intent: unionists are seeking unity in order to hold a consistent line of refusal to negotiate on the basis of Frameworks for the Future, and refusal to talk with Sinn Féin until weapons have been decommissioned, or even until the IRA's structures have been dismantled, in order to show the British and Irish governments that unionists cannot be pushed into complying with policies and directives they strongly disagree with, and so forth. Exactly what is to be gained by the tactic of refusal is anyone's guess and not many lessons appear to have been learned by the DUP in particular from the failure of the 'Ulster Says No' campaign to force a British backdown on the Anglo- Irish Agreement. Another limitation concerns the substance of the call to unity: other than affirm unionist determination to remain British, it is not clear that it has any additional ground of positive agreement. It is not obvious, in other words, that on questions of substance regarding the future shape of a peaceful Northern Ireland unionists agree on much more than that its British character and constitutional status should be retained. The visions of unionism of Paisley and McCartney, for example, are in many respects poles apart. The call for unity has a hollow sound. It excludes strands of unionism that are not seen as sufficiently uncompromising, and it remains tactically negative and short on substance. Beyond obtruding the obvious - that unionists want Northern Ireland to remain within the United Kingdom - it promises little. It is doubtful if unionist unity, if ever achieved, could be sustained for long, especially since there is a substantive rift between its main proponents. The fact that unionists find it hard to agree on the way ahead for unionism is reflected in differing views of the preferred form of government for Northern Ireland which are found within as well as between parties. Admittedly, these views share a common point of departure: the present state of direct rule from Westminster is perceived as unsatisfactory not least because it is unacceptable for Northern Irish citizens to be governed by British parties they cannot vote for or, in cases, even join, and because it results in too much power being given over to bureaucrats in the Northern Ireland Office and to unaccountable quangos. The prevailing status quo creates a 'democratic deficit' in Northern Ireland. But what is its alternative? Unionist answers divide roughly along devolutionist and integrationist lines: either Northern Ireland should have its own form of government within the framework of the United Kingdom or it should be governed similarly to the rest of Britain. But this division requires additional qualification in order to capture the different senses that attach to the options of devolution and integration. Following McGarry and O'Leary, it is possible to detect four senses in which a devolutionist case is presented, whilst we may detect three in which an integrationist case is made. On the devolutionist side, we may distinguish between 'reactionary' pleas for a return to the old Stormont mode of government based upon a simple principle of majority rule; -'reformist' requests for a type of majority rule modified by such concessions as 'a Bill of Rights, proportional representation, and a role for minority parties in the committee system of any future devolved assembly'; - 'power sharing' proposals for a Northern Ireland assembly in which unionists and nationalists share the executive and legislative tasks of government; and 'pan-British' arguments for a devolution of power to regions throughout the United Kingdom, if not also throughout the European Union. On the integrationist side, the primary concern may be 'legal', where the aim is to see Northern Ireland accorded an identical legal status within the Union to that enjoyed by England, Scotland and Wales; or it may be 'administrative', where the purpose is to have Northern Ireland granted its own Westminster select committee; or it may be 'electoral', where the objective is to persuade the major British political parties to organise and compete for electoral support in Northern Ireland. T'hree observations are prompted by this array of senses in which the options of devolution and integration are canvassed. First, the situation among unionists is even more complicated than the one McGarry and O'Leary describe. For a start, unless devolution is advocated as a disguise to enable the establishment of an independent Ulster, any devolved arrangement would include an element of integration. Furthermore, it is possible to be a devolutionist in more than one sense - say, 'power-sharing' and 'pan-British'. More interesting, it is also possible that an advocate of one form of devolution - say, 'power-sharing' - may prefer as a second-best option a form of integration - say, 'administrative' - rather than another form of devolution - say, 'reactionary'. In short, the devolution/integration distinction, unless suitably qualified, may disguise more differences among unionists than it reveals, since certain devolutionists are closer to certain integrationists than they are to other devolutionists. Second, various of the senses in which devolution and integration are espoused reveal improbable aspirations unlikely to cut much ice either with the nationalist population or with the British and Irish governments. 'Reactionary' devolution and electoral integration are two obvious improbable candidates, but there are others. Indeed, I shall argue that some variant of power-sharing' devolution is the only option likely to attract enough cross-community and intergovernmental support to be worth pursuing. Third, differences between and among integrationists and devolutionists if pressed, disclose serious rifts over matters of political substance. At issue is not only disagreement about preferred formal modes of government but, more seriously, disagreement about how much influence citizens should have over their own affairs and about how best to organise social and political life within a Northern Ireland that contains a large nationalist minority. In other words, conflicting views of unionism's relationship with nationalism are also at stake in disputes over devolution and integration, as are competing conceptions of politics. But the cause of unionism, as exemplified in recent calls for unity, is often defined so broadly as to cover up divisions in the unionist family and minimise their seriousness. The unspoken assumption seems to be that, whatever their differences, unionists, always have more in common with each other than they ever have with nationalists. Whether this assumption withstands critical scrutiny remains an open question. Diverging opinions of the sort of government that is appropriate in Northern Ireland constitute a challenge to the long-term viability of concerted unionist action. Once these opinions are identified and we see that other substantive differences are implied by them, it is hard to believe that united unionist defiance of Northern nationalists and the British and Irish governments can be anything more than a stopgap measure. Big questions about the purpose of politics and the nature of social and political life lurk just beneath the surface, and the variety of answers they receive among unionists indicates an absence of coherent direction that cannot simply be shrugged aside as a matter of secondary importance. Of course, hauling these questions out into the open also means placing them in a context that is not defined solely by the predispositions of unionists, but that is shaped in crucial respects by factors beyond unionism's control. Ultimately, the plausibility of this or that unionist answer to questions concerning appropriate forms of government, the role of politics and the character of Northern Irish society depends not merely on its faithfulness to cherished unionist ideals, but also on its ability to respond to challenges issued by larger forces in its environment. One such set of challenges comes from forces external to Northern Ireland that none the less have the power to influence decisively what happens here. The most serious challenges to unionism from forces external to Northern Ireland are those posed by the British and Irish governments. A lesser challenge, though one worth touching on briefly, is implied by developments occurring within the European Union. At first glance these challenges, and especially that presented by the British government, may seem the most acutely alarming. And there is no denying that this glance penetrates to a deeply troubling state of affairs if we assume the .likelihood of a worst-case scenario in which the current, or some future, government of the United Kingdom decides to accede to the wishes of certain nationalists and withdraw from Northern Ireland altogether. In this scenario, whatever the fateful consequences for the North's inhabitants, unionism would have given its last gasp and be rendered redundant as a live political doctrine. Thus the future of unionism appears to rely upon the good will of Westminster, which is why the potential challenge of a hostile British government looms as the greatest threat of all. In truth, however, Westminster's threat to unionism is of a different order and not nearly as alarmist as the worst-case scenario suggests: regardless of the private wishes of government members and officials to be rid of the nuisance of Ireland once and for all, British governments of all hues operate under constraints that cannot be flaunted at whim. Possible fateful consequences of withdrawal have to be reckoned with seriously, as do constitutional procedures; and, besides, there is bipartisan support within parliament for a British governmental presence to remain in Northern Ireland so long as the majority of citizens there will it. As things currently stand, the British government's commitment to the Union is more steadfast than wilder, almost apocalyptic, unionist fears sometimes suggest. But that does not mean that it is unambiguous or that it does not constitute a challenge of some significance to many unionist hopes and ambitions. Unionists have reason to be apprehensive because they suspect that John Hume might be right in arguing that, in the wake of the Anglo-Irish Agreement, the British government has effectively moved to a position of neutrality on the Union, and because there is probably more than a glimmer of truth in the philosopher Anthony Kenny's disconcerting observation that of the three grounds of attachment that historically bound Britain to Northern Ireland - self-interest, sentiment and morality - only the latter now holds. These points of Hume and Kenny gesture at the nature of the challenge unionists face from the British government: the fact that Northern Ireland's membership of the Union is treated as different in kind from the membership enjoyed by England, Scotland and Wales. Such a challenge consists of two related issues. First, it implies a commitment to Northern Ireland that is considerably weaker than the one most unionists wish for. Second, it suggests that the sort of institutional expressions of Northern Ireland's membership that Westminster finds acceptable may not coincide with those that unionists seek. ... in order to persuade Ulster to come in there is an advantage in her having a Catholic population. I think you will get Ulster into an Irish unit on agreed terms. We promise to stand aside and you will not only have our neutrality but our benevolent neutrality. Political developments within Northern Ireland worked out contrary to Lloyd George's prediction and successive British governments were content to let them take their own course up to the late 1960s and early 1970s. Since the introduction of direct rule in 1972, and especially since the signing of the Anglo-Irish Agreement in 1985, the release of the Downing Street Declaration in 1993 and the publication of Frameworks for the Future in 1995, Westminster's resolve to retain the integrity of the Union has been revealed as less than wholehearted. The weakness of Westminster's resolve is conspicuous in the telling phrase that the British government has 'no selfish strategic or economic interest in Northern Ireland'[l6] - a phrase unimaginable in Westminster's definition of its relationship to other members of the United Kingdom. An ambivalent resolve is also evident in the elevation of the principle of consent as the benchmark of Northern Ireland's constitutional future: so long as most people in the North wish to remain part of the UK, Westminster will respect that wish. This elevation of the principle of consent is not only a source of security for unionists; it is also a reminder of Northern Ireland's peculiar status, since her people seem to have an opt-out clause not as readily available to the people of England, Scotland or Wales. The current shape of the challenge to unionism entailed in Westminster's weak commitment to its cause merely makes explicit what was always implicit and allowed to remain so until Stormont was prorogued and British governments could no longer turn a convenient blind eye to the social and political realities of Northern Ireland. Viewed from one angle, then, there is little surprise in the attitudes expressed in current British government policies on Northern Ireland: they are scarcely more than foot- notes to Lloyd George. Viewed from another angle, however, there is immense surprise. Handling an implicit challenge is one thing, but confronting an explicit challenge is quite another. The first sort, which is what unionists experienced during the Stormont years, is easily dealt with. So easily, in fact, that most unionists were probably lulled into a false sense of complacency by supposing that British silence implied British endorsement. Thus they were ill equipped to meet the subsequent challenge of Britain's lack of resolve to defend their corner and her apparent neutrality on the future of Northern Ireland. And thus it is that expressions of outrage, betrayal and bewilderment now characterise many unionist responses to the British government. Unionist disaffection with the British government is increased by the kind of institutional arrangements the government is prepared to countenance and the lengths it is willing to go in their pursuit. Unique arrangements, ranging from devolved institutions at Stormont to the current institutions of direct rule, have of course been the norm in Northern Ireland. But in its attempts to project a future beyond the present provisional arrangements of direct rule, the British government seems inclined to disturb unionist sensitivities in an unprecedented manner. It envisages institutions that dilute the 'Britishness' of Northern Ireland and, in pressing its intentions, is at times undistracted by unionist misgivings. The circumstances attending the signing of the Anglo-Irish Agreement remain the most poignant illustration of the latter point. To recall, this was an agreement with the Irish government, decided upon independently not only of unionist input but also of unionist knowledge. Time and subsequent British rhetoric and assurances have done little to remove unionist apprehensions of Westminster's true designs. Unionists perceive in paragraph 47 of the second of the recent framework documents, for example, a further intimation of the British government's preparedness to impose institutional arrangements on Northern Ireland against the will of the unionist majority. And there is decidedly diminished confidence in the ability of concerted unionist action to see off the threat. The Ulster Workers' Council strike of 1974 may have scuppered the Sunningdale Agreement with its proposals for a power-sharing executive and a Council of Ireland, but the structures of the Anglo-Irish Agreement which granted the Irish government a consultative role in Northern Irish affairs have withstood all forms of unionist opposition. More to the point now, the proposals laid out in Frameworks for the Future reveal Britain's preference for institutional arrangements that not only retain Northern Ireland's place within the United Kingdom - subject to the consent of her people - but also provide for a power-sharing devolved assembly, a strengthening of Anglo-Irish relations, and the incorporation of an explicit Irish dimension that deepens North-South relations. There is unionist unease with the details of all these arrangements, but it is towards the kind of institutions implied by a deepening of North-South ties that most antipathy is directed. So strongly felt is this antipathy that no unionist party other than Alliance is prepared to enter negotiations on the basis of the framework documents. Rather than consolidating Northern Ireland's position within the Union, the arrangements favoured by Westminster appear to most unionists to make that position even more precarious; the favoured arrangements seem to set the North on a course bringing it closer to the South and making more likely its eventual absorption into an all-Ireland republic. Now, the plausibility of the typical unionist perception that the institutional arrangements in Frameworks for the Future represent a slippery slope to a united Ireland is debatable, as I shall argue more fully in Chapter 5. But the sheer fact that the British government recommends arrangements designed to give nationalists a more inclusive role in Northern Irish society and to entitle the government of the Republic to a say on matters impinging on areas of Northern life issues a challenge to unionism that cannot be averted perpetually. At the very least, it indicates that unless unionists can respond with convincing counter-proposals, the prospect looms of their having to accept institutions that express the Irishness as well as the Britishness of Northern Ireland. Related to the challenge posed to unionism by the British government is that posed by the Irish government. That such a challenge exists virtually goes without saying since the government of the Republic was a partner to the Anglo-Irish Agreement, the Downing Street Declaration and Frameworks for the Future. But specifying the precise form of that challenge is a tricky matter. Three indicators give some clue: the claim enshrined in the Irish constitution to jurisdiction over the entire island of Ireland, Dublin's perceived underwriting of Northern nationalist interests, and its intention to have some involvement, however limited, in the affairs of Northern Ireland. Each of these indicators gives Dublin's challenge to unionism a different twist. The challenge implied by the constitutional claim is potentially the most serious, though it is susceptible of a relatively benign interpretation. Rendered in its most uncompromising - irredentist nationalist - form, it calls into question the very foundations of unionism by denying the legitimacy of Northern Ireland and by inferring that the avowed Britishness of unionists is a type of false consciousness. In its benign expression, the constitutional claim amounts to an aspiration to Irish unity, legal rulings to the contrary notwithstanding, and as such finds regrettable unionists' self-alienation from the Irish state and challenges them to reconsider their position. The challenge of the second indicator - which unionists characteristically view as the Irish government's entanglement in a 'pan-nationalist front' - is even more ambiguous. Consider, for example, three possible construals of its meaning. At one extreme the construal might be this: since the true interests of Northern nationalists can only be satisfied in an all-Ireland republic - as Sinn Féin seldom tires of reminding us - the challenge is a reiteration of that issued by irredentist nationalism. At another extreme, Dublin's underwriting of Northern nationalist interests might rather be construed as follows: in the absence of unionist consent to a united Ireland, Northern nationalist interests must be defined at present solely within the context of Northern Ireland; the challenge to unionism is to ensure that Northern society is freed from discriminatory practices against nationalists by guaranteeing that they enjoy equal opportunities across the board of social and political life; and this is a challenge the Irish government promises to make effective by acting as an advocate of nationalist interests to the British government, the European Union and the international community at large. 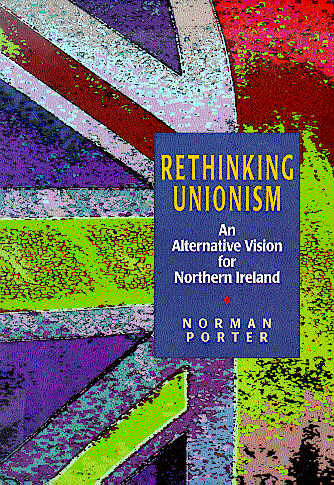 Falling between these extremes, the underwriting of Northern nationalist interests might be construed in these terms: to be sure, Irish unity is impossible without unionist agreement but, in the absence of such agreement, the interests of Northern nationalists require nothing short of an institutional recognition of Irishness; within Northern Ireland; and the challenge to unionism is to accommodate such recognition. This in-between construal of the challenge involved in the second indicator fits with the kind of challenge hinted at in the third, where the emphasis falls on the Irish government's desire to play some role in Northern Ireland. Here the challenge to unionism to facilitate such a desire is obvious. Again this challenge admits of a number of options; these range from structures of joint authority to structures of consultation. Whatever the option, the thrust of the challenge amounts to an extension of the point that an Irish dimension should be recognised in the institutions of Northern Ireland: an adequate recognition of such a dimension entails finding space for Dublin to play some part in Northern Irish life. It is true to say that certain of the above depictions of the nature of the Irish government's challenge are bound to offend unionists a good deal more than others. But it is also true that even the mildest depiction constitutes an affront of sorts to most unionists. The standard unionist inclination is simply to dismiss all these depictions out of hand on the grounds that a foreign state - such as the Irish Republic - has no business meddling in the internal affairs of Northern Ireland. The problem is that such an inclination confronts serious obstacles. The Irish government's challenges to unionism do not appear in a vacuum and cannot be ignored just because certain forms of unionist ideology insist on screening them out. A number of them are explicitly supported by the British government as well as by the United States which, under the presidency of Bill Clinton, is taking an unprecedented interest in the politics of Northern Ireland. Accordingly, it seems short-sighted simply to lump together all the challenges listed above and to dismiss them indiscriminately. It is more prudent to distinguish among them in order to discern which reflect the actual position of the Irish government and which are likely to muster most support beyond Ireland. It is on these that unionist minds need to concentrate, even if there is no stopping certain unionist minds from detecting the darkest motives in the most innocuous of challenges. The irredentist challenge conveyed through an uncompromising interpretation of the Irish constitution and a 'Sinn-Féin-oriented' understanding of Northern nationalist interests is the least credible. This is despite the fact that as recently as 1990 the Supreme Court in Dublin defined the Irish state's claim to jurisdiction over the whole of Ireland as a 'constitutional imperative'. Two points are pertinent here. First, even when there was no doubting the ideological commitment of successive Irish governments to the irredentist line vindicated by the Supreme Court ruling, political movement aimed at hastening the arrival of its promise was conspicuously lacking. In terms of dictating courses of action, the de facto reality of Northern Ireland's existence as a separate entity has invariably counted for more than the Irish state's de jure claim over the entire territory of the island. Second, the Irish government now rejects the.' irredentist ideology, support of which is largely confined to Sinn Féin and sections of Fianna Fáil. Thus, as Frameworks for the Future makes transparent, there is explicit acknowledgement that change to the constitutional status of Northern Ireland cannot be implemented without the consent of her citizens. There is also an apparent willingness to promote changes to Articles 2 and 3 of the Irish constitution in order to bring them into line with the principle of consent - a willingness that should not be under-estimated given that, since being flagged, it has encountered no serious objections from within the Republic. And, underlying these concessions to the validity of the unionist case, there is an accelerating recognition that the British identity of unionists has: to be appreciated as such and not derisively dismissed as a distorted form of consciousness. The real challenge presented to unionism by the Irish government is in effect an amalgam of those other construals of the challenge that fall outside the framework of irredentist nationalism. It thus consists of the following elements: first, an ongoing invitation to unionists to rethink their self-exclusion from the Irish state; second, a concern that nationalists receive a fair social and political deal within Northern Ireland; and, third, a wish to see an Irish dimension accommodated within Northern institutions, a closer development of North-South ties, and a role of some sort for Dublin. Unionists should have no difficulty in principle in coping with the first and second parts of this challenge. It is with the third part, the Irish government's desire to play some role in Northern Ireland, that their most onerous tasks lie, especially given the variety of interpretations its different aspects open up. The apparent British and United States backing of the basic thrust of this objective suggests that these tasks cannot be shirked, however exacting they may prove to be. Another external challenge to unionism, which I want to deal with briefly, stems from developments occurring within the European Union. The nature and point of this challenge is worth clarifying. In one version, it is presented as a direct and strong assault on typical unionist (and nationalist) preconceptions and promises a transformation of the ways in which we think about the problem of Northern Ireland. But this version seems somewhat overdrawn and its gloss on the significance of the 'European challenge' appears exaggerated. I suggest, on the contrary, that the challenge is more indirect, and obtains only in two milder senses. An exaggerated version of the European challenge to unionism focuses on the idea that an emerging 'Europe of the regions' undercuts unionists' exclusive attachment to the United Kingdom and opens up the prospect of forms of North-South co-operation unencumbered by nationalist baggage. The challenge, accordingly, is for unionists to think of Northern Ireland primarily as a European region which coexists and interacts with other regions, including the Republic of Ireland and other members of the United Kingdom. If taken seriously, this is a challenge with radical consequences for unionists. It undermines the nation-state basis of their thinking, dislodges the issue of sovereignty from the central place unionists accord it in their dispute with nationalists, makes secondary the border question which they regard primary, and shifts the locus of their political identity. In the words of one of its main advocates, the challenge is to 'get beyond' the usual dichotomies unionists invoke in their quarrel with nationalists. A major problem with this explication of the European challenge is that it implies a level of 'Europeanisation' that does not exist. A 'Europe of the regions' is an aspiration and not a current reality. Moreover, it is far from evident that increased regionalisation would imply the transcending of nation-states; it seems more the case that regionalisation would occur within their ambit. Accordingly, sovereignty is not so easily disposed of, borders are not so magically spirited away, and political identities are not so effortlessly relocated. Indeed, the notion that those attachments that distinguish unionists from nationalists can be transcended by the sheer appropriation of a common 'Europeanism' appears to underestimate the nature and depth of the attachments at issue: they are not cast aside so lightly. As one commentator puts it, lone gets the curious sense that "getting beyond" the Irish Question through Europe is cheating'. The most that may be said here is that a thoroughgoing regionalisation of Europe would perhaps encourage a more flexible approach to questions of sovereignty, borders and identities, as well as provide a further impetus for cross-border activities conducive to the benefit of both Northern Ireland and the Republic. But this is to envisage a milder sort of challenge, which comes closer to the one I think the issue of Europeanisation raises. The present European challenge to unionism is more indirect and subtle than is admitted by those who look to Europe for some sort of quick fix to the problems of Northern Ireland. First, it is probably the case that membership of the European Union has contributed to various social, political and cultural changes occurring within the United Kingdom and the Republic of Ireland which have yet to be taken stock of in unionist thinking. Consider, for example, the divisive impact on British political life created by talk of European integration and regionalisation. Such talk has brought to the fore questions of the extent of British sovereignty and the cohesiveness of Britain, with Scotland in particular pressing serious demands for devolution, and has revealed splits over Europe within and between the Conservative and Labour parties. Now it may be that the import of this kind of talk is inflated, as I have already submitted is the case with much regionalisation discourse, and that only very minimal threats are posed to British sovereignty and unity by what is achievable on the fronts of European integration and regionalism. But what is interesting here is that the proliferation of talk about these matters has helped create a climate of debate that has exposed strains in the concept of a unitary, sovereign British state. And it is such a concept that lies close to the heart of many unionists', especially integrationists', image of the United Kingdom. And as Scottish, and to a lesser extent Welsh, nationalism threatens to fragment the integrity of the United Kingdom, the interests of an English nationalism may be implicit in attempts to halt such fragmentation. Mention of English nationalism sits most uncomfortably with much unionist ideology, as we shall notice on more than one occasion in subsequent chapters. Or consider the situation of the Irish state, which has worn its European membership altogether more comfortably than has Britain. It is not far-fetched to conjecture that the acceleration of this state's modernisation programme begun under Seán Lemass, its growing embrace of pluralism and consequent moves away from the rural, Catholic, Gaelic state of de Valera's dreams, is in no small measure due to its involvement in the European Union. That such a shift in the character of the Irish state is even happening is only grudgingly acknowledged by unionists, if at all. In different ways, then, effects of Europeanisation may be detected in changes to the British and Irish states. And these constitute a challenge to unionists not in the sense that they radically undermine their reasons for wishing to remain within the British fold, but in the indirect sense that they call for a revision of standard unionist accounts of the two states and of their differences. Second, membership of the European Union has undoubtedly contributed to an improvement of Anglo-Irish relations. The Irish and British governments have developed better understandings of each other and discovered common interests through working together in various European forums and committees. This even have led both governments to European experience may reorient their priorities to the detriment of both unionist and nationalist interests. Feargal Cochrane makes this suggestion explicit when he argues that 'the two sovereign governments are primarily concerned with maintaining good relations with one another, rather than with working for the achievement of more fundamental objectives such as Irish unity or preservation of the Union'. Cochrane's argument is contestable but, its implications for nationalists aside, it does point to a real difficulty for unionists. The British and Irish governments have since 1985 shown a resolve to reach a common position on Northern Ireland, despite occasional tensions in their relationship, and this resolve may prove very difficult for unionists to dislodge. It is a resolve that has doubtless been strengthened through common European experiences. To recognise that this is so is also to recognise that the influence of the European factor constitutes another indirect challenge to unionism.